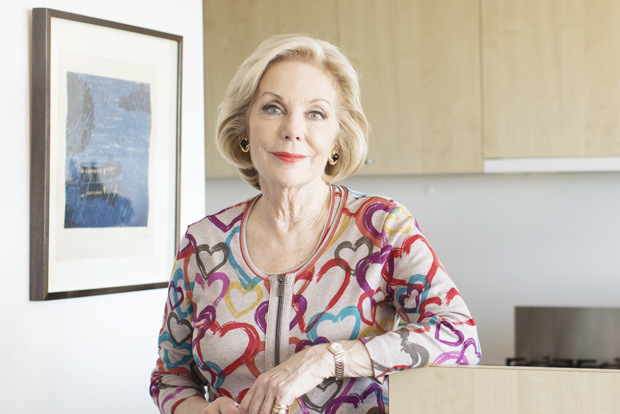 It turns out media legend Ita Buttrose has a habit of keeping some things you’d usually find in a pantry in her fridge – and it’s something her children tease her about often, she says. There’s the bottle of Ribena, jellybeans for her grandchildren and packets of Cruskits – among other things. Must have something to do with that humid Sydney weather. Find out more about what’s tucked away in her Redfern apartment kitchen here. Culinary quirks aside, it was a pleasure talking to Ita, who happens to also be raising awareness for macular degeneration, a hereditary eye disease that affects one in seven Australians over the age of 50. She’s recently co-authored a cookbook to champion the cause called Eating for Eye Health – well worth a look, particularly if you know someone affected.